This past Christmas, I was at a TOTAL loss for what to get for my grandma, Tyler's grandma, and for my dad. I mean, what do you buy for the people who have everything? Then I thought: what is one thing that people buy often that I could give them so they don't have to buy it? Better yet, what can I make them? My dad likes to get cheap cards and add a ton of value to them by writing long notes or really customizing them. 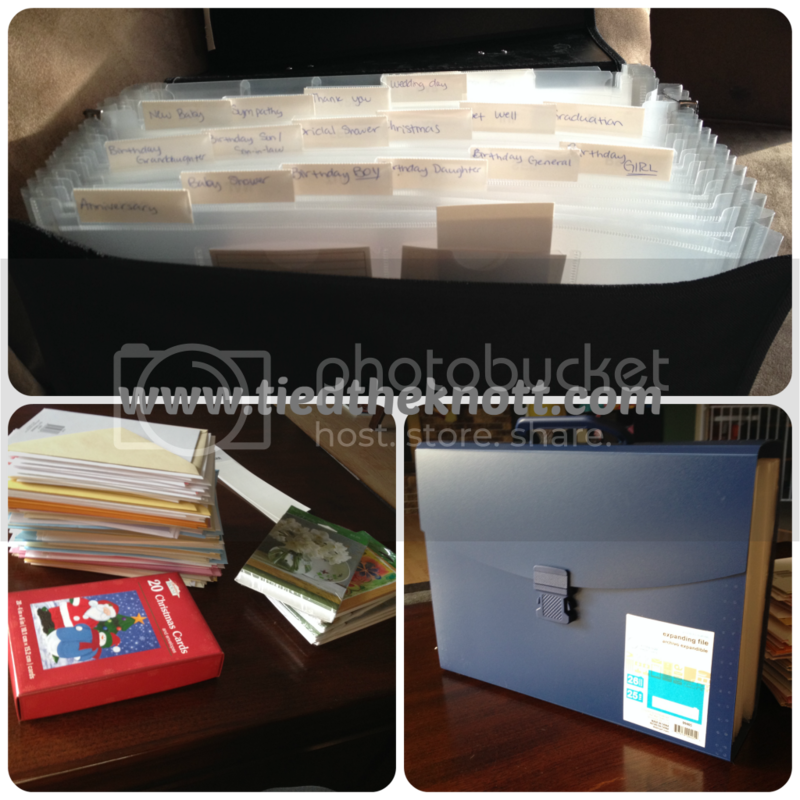 This inspired me to make a Card Organizer!! Every one of these three people LOVED their presents and have already begun using them. The best part is, for all three of them, I spent less than $150 and they are complete. I went to the dollar store and got a ton of 2 for $1 cards AS WELL AS Goodwill! I never would've thought that Goodwill and other second-hand stores would have NEW cards for sale, but they do! And they are only 10-25 cents! 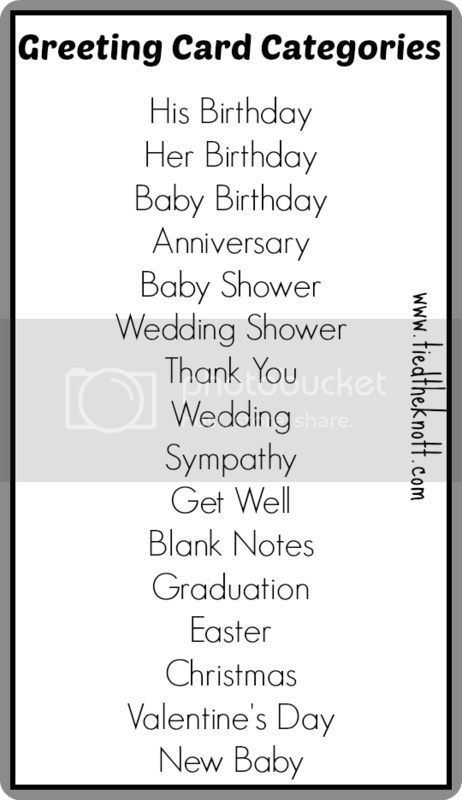 Also, for the Thank You tab, you can buy STACKS of Thank You cards at the dollar store... for ONE DOLLAR! Sort the cards so there are a few for each occasion and close it up! Seriously, this gift is so easy and so practical. The tote makes the cards easy to find and by filling it up with some cards in advance, you are giving them something they can use in a bind! Happy sorting! "That Was My Best Dad-Moment Ever"